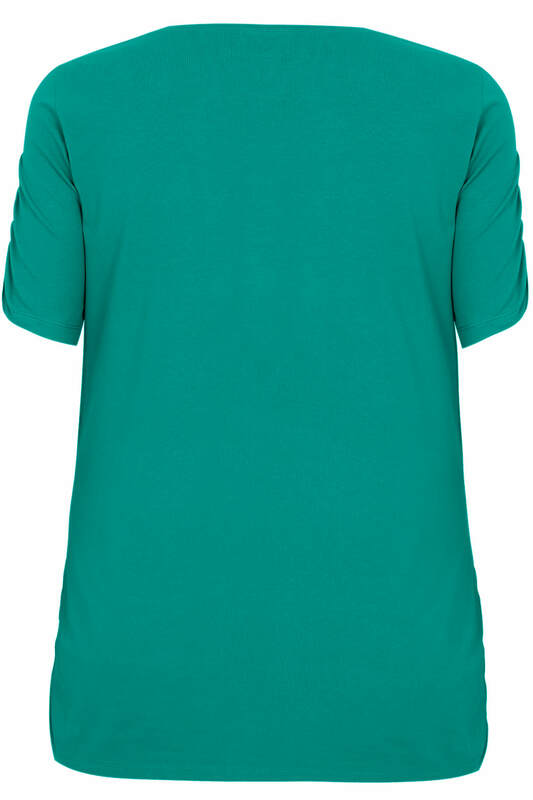 Plus size jade green t-shirt with a scooped neckline, ruched short sleeves and ruched sides. 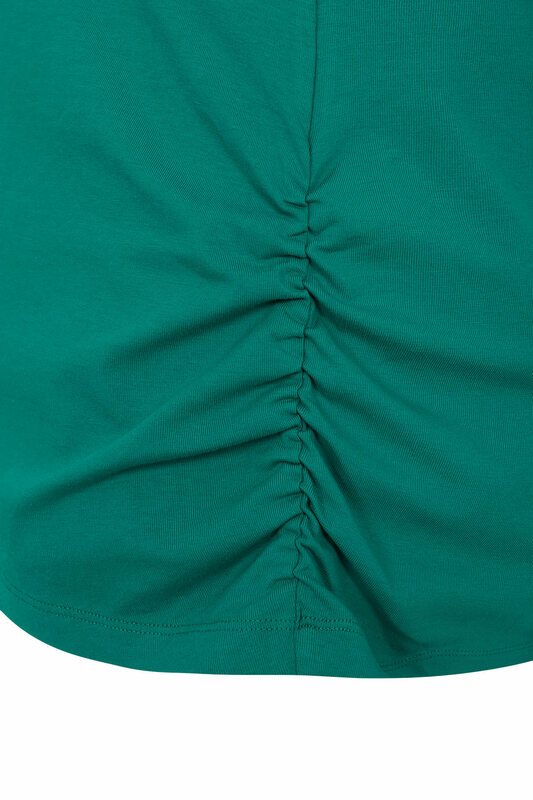 Made from a comfortable jersey fabric that is perfect for casual wear. 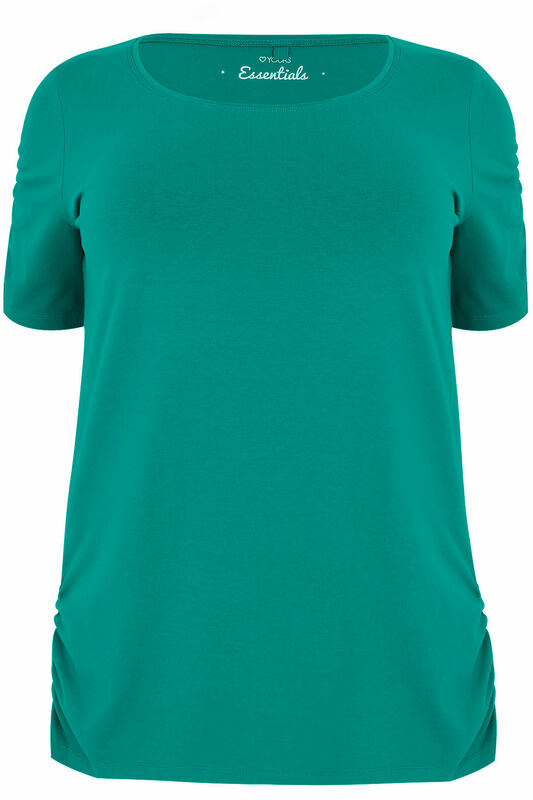 Style this fun basic with skinny jeans and pumps for a trendy daytime look.